Despite his work straying from the traditional literary mediums of novels, poetry and short stories, Bob Dylan has been awarded the 2016 Nobel Prize in Literature. The renowned musician is the first singer-songwriter to win a Nobel Prize in Literature. 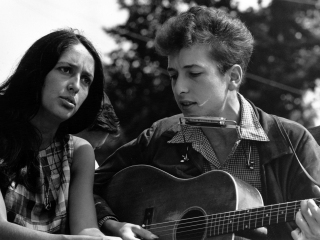 The Swedish Academy’s permanent secretary, Sara Danius, announced the news, with Dylan earning the prize “for having created new poetic expressions within the great American song tradition,” in the words of the Academy. "Take the Road to Aberfeldy"
Margaret Bennett (*27 October 1946, Isle of Skye, Scotland). The late Hamish Henderson said that there "can be few scholars on either side of the Atlantic who succeed in combining such a wide range of skills as Margaret Bennett. A folksinger of great sensitivity and versatility, she is undoubtedly one of the major figures of the modern Scottish Revival. Margaret embodies all that is best of the spirit of Scotland." Margaret Bennett grew up in the Isle of Skye, "in a household where singing, playing music, dancing and storytelling were a way of life as were traditional crafts." Her father emigrated to Newfoundland, Canada. When visiting him in 1965, she came across the newly founded Folklore Department at Memorial University of Newfoundland and realised that her cultural heritage "was a subject you could actually study and get a degree in." Between 1977–1984, Margaret Bennett worked as a special education teacher in the Scottish Education Department. From 1984 to 1995, she was lecturer in Scottish Ethnology at the School of Scottish Studies of the University of Edinburgh. Since October 1995 she has been Glasgow Honorary Research Fellow of the University of Glasgow and lecturer in folklore at the Royal Scottish Academy of Music and Drama in Glasgow. Dwight Yoakam (*23 October 1956, Pikeville, Kentucky, USA). When country singer-songwriter Dwight David Yoakam began his career, Nashville was oriented toward pop "urban cowboy" music, and his particular brand of honky tonk music was not considered marketable. Yoakam moved to Los Angeles and did many shows in rock and punk rock clubs. This helped him diversify his audience beyond the typical country music fans, and his authentic music is often credited with rock audiences accepting country music. Yoakam's stylish video "Honky Tonk Man" was the first country music video ever played on MTV. He charted more than thirty singles on the Billboard Hot Country Songs charts, recorded five Billboard #1 albums and sold more than 25 million records. Paul Simon (*13 October 1941, Newark, New Jersey, USA). Art Garfunkel (*5 November 1941, Forest Hills, Queens, New York City, USA). Between 1956 and 1962, Paul Frederic Simon and Arthur Ira Garfunkel performed together as "Tom & Jerry", occasionally performing at school dances. Their idols were The Everly Brothers, whom they imitated in their use of close two-part vocal harmony. Dropping out of Brooklyn Law School in 1963, they reformed their duo under their own names as "Simon and Garfunkel". Paul Simon wrote nearly all of the pair's songs, including three that reached No. 1 on the U.S. singles charts: "The Sound of Silence", "Mrs. Robinson", and "Bridge over Troubled Water". The duo split up in 1970 at the height of their popularity and both pursued solo projects. In 1986, Paul Simon released the Grammy-award winning album "Graceland," inspired by South African township music. The sessions featured many South African musicians and groups, particularly Ladysmith Black Mambazo. John Prine (*10 October 1946, Maywood, Illinois, USA). Country/folk singer-songwriter John Prine was discovered by Kris Kristofferson, resulting in the production of his self-titled debut album in 1971. Prine is known for both humorous lyrics about love and current events and melancholy tales from his life, as well as serious songs with social commentary. After his battle with squamous cell cancer in 1998, Prine's vocals deepened into a gravel-voice. Finbar Furey (*28 September 1946, Dublin, Ireland). 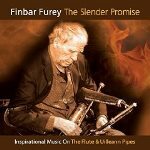 Finbar Furey's well known musician father Ted started him on the uilleann pipes. In 1969, brothers Finbar and Eddie began touring as back-up musicians for the influential Irish folk group, The Clancy Brothers. Finbar played the pipes, as well as the banjo, tin whistle, and guitar. The Fureys left the group the following year and began performing as a duo. When younger brothers Paul and George joined the band several years later, The Fureys enjoyed a string of best selling records all over the world, including "When You Were Sweet Sixteen", "Leaving Nancy" and "Green Fields of France". 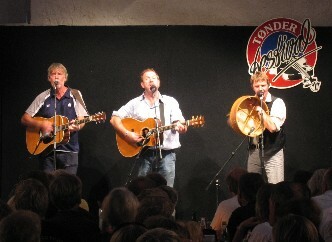 In the UK, they became one of the first Irish folk groups to play on Top of the Pops. 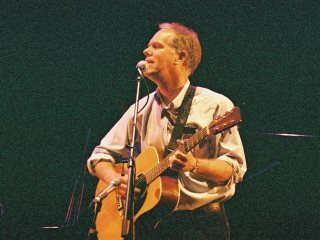 Loudon Wainwright III (*5 September 1946, Chapel Hill, North Carolina, USA). Loudon Snowden Wainwright III is a Grammy Award–winning singer-songwriter, perhaps best known for the 1972 novelty song "Dead Skunk (in the Middle of the Road)" and for playing Captain Calvin Spalding (the "singing surgeon") on the American television show M*A*S*H. Using a witty, self-mocking style, Wainwright has recorded over twenty albums. In 2010, he won the Grammy for Best Traditional Folk Album for "High Wide & Handsome: The Charlie Poole Project". Loudon Wainwright III is the father of musicians Rufus Wainwright, Martha Wainwright and Lucy Wainwright Roche. Ian McCalman (*1 September 1946, Edinburgh, Scotland). Originally studying Architecture and Photography, Ian McCalman was one of the founder members of the Scottish folk song trio The McCalmans in 1964. They recorded and toured until they disbanded in 2010. Their performance was based on three-part harmony, humour and a deep respect for the folk tradition. Ian McCalman now runs a successful music studio, "Kevock Digital," which has produced over 100 albums. In addition to his many group albums, Greentrax Recordings has released the critically acclaimed "McCalman Singular" which is an album of Ian's songs sung by friends. Bruce Guthro (*31 August 1961, Sydney Mines, Nova Scotia, Cape Breton, Canada). 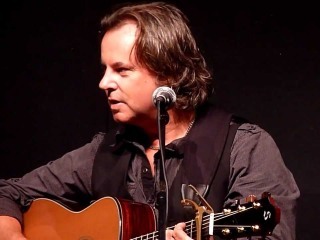 Cape Breton singer-songwriter Bruce Guthro (born Bruce Guthrie) had recorded as a solo artist, until he joined the Scottish folk rock band Runrig in 1998, succeeding their frontman Donnie Munro. His latest solo album has been released in 2014, "The Symphony Sessions," his songs crossing the boundaries of pop, folk and jazz. 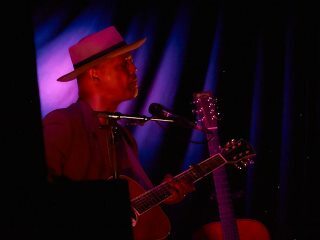 Eric Bibb (*16 August 1951, New York City, USA). His father Leon was a musical theatre singer, who made a name for himself as part of the 1960s New York folk scene; his uncle was the jazz pianist and composer John Lewis of the Modern Jazz Quartet; family friends included Pete Seeger and Paul Robeson, Eric Bibb's godfather. Acoustic blues singer-songwriter Eric Bibb moved to Europe in 1970, where he quickly immersed himself in pre-war blues and the newly-discovered world music scene. He currently resides in Helsinki, together with his Finnish wife and tour manager. David Crosby (*14 August 1941, Los Angeles, California, USA). Singer-songwriter David Van Cortlandt Crosby has been depicted as emblematic of the 1960s' counterculture. In addition to his solo career, he was a founding member of both the Byrds and Crosby, Stills & Nash. He is known for his use of alternate guitar tunings and jazz influences, and wrote (or co-wrote) "Eight Miles High", "Guinnevere", and "Wooden Ships". Linda Ronstadt (*15 July 1946, Tucson, Arizona, USA). Establishing her professional career in the mid-1960s at the forefront of California's emerging folk rock and country rock movements, Linda Maria Ronstadt has earned 11 Grammy Awards, and sold more than 100 million records, making her one of the world's best-selling artists of all time. Ronstadt became the first female arena class rock star. In 2011 she retired, diagnosed as having Parkinson's disease, which left her unable to sing. Karl Seglem (*8 July 1961, Årdalstangen, Norway). Educated on the music program at Voss Folk High School (1978–80), Norwegian jazz saxophonist Karl Seglem has released eight jazz/trad albums under his own name, has a long lasting cooperation with Terje Isungset and has also released two albums cooperating with the poet Jon Fosse. Since 2000, Karl Seglem started experimenting with the old Norwegian instrument called bukkehorn (Billy Goat Horn). Horacio Salinas (*8 July 1961, Lautaro, Cautín, Chile). The Chilean guitarist and composer has a huge repertory of compositions that involves Andean folk music, many Latin American styles, world music, protest music and contemporary classical music. Horacio Salinas Álvarez is the co-founder and musical director of the Chilean group Inti-Illimani Histórico. In 1973, his group was touring Europe when Pinochet seized power in Chile, after which they had to stay in exile for years. Riccardo Tesi (*18 February 1956, Pistoia, Tuscany, Italy). 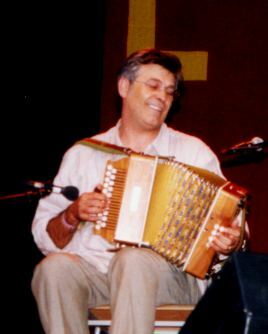 Italian ethnic music pioneer and melodeon player Riccardo Tesi has released several solo albums and has also worked with a number of important musicians, including Sardinian singer Elena Ledda, flat-picking guitarist Beppe Gambetta, ethnic jazz musician Daniele Sepe and singer-songwriters such as Fabrizio De André and Gianmaria Testa. In 1992, Tesi has founded Banditaliana, rated as one of the most distinguished world music groups from Italy. In 2015, Riccardo Tesi was part of an ensemble reviving old partisan and worker's songs and staging the "Bella Ciao" show once again. This important show from the Italian folk music revival had had its premiere in 1964. Bap Kennedy (1962-2016). Martin Christopher Kennedy, known as Bap Kennedy, grew up on the Falls Road, West Belfast, at the height of the Troubles. He left Northern Ireland in 1985 and worked as a labourer on building sites in London prior to forming the rock band Energy Orchard. During his solo career, Kennedy performed and recorded songs with artists such as Steve Earle, Jerry Douglas, Peter Rowan, Nanci Griffith, Van Morrison, Mark Knopfler and The Pogues’ lead singer Shane MacGowan. In May 2016, Kennedy started a blog, detailing his progress after a sudden cancer diagnosis. He died on 1 November 2016 from pancreatic and bowel cancer in hospice care in Belfast. Angus R. Grant (1967-2016). Born just outside Fort William, Angus Roderick Grant picked up a fiddle when five years old and played with his father at Highland ceilidhs. He joined punk bluegrass group Swamptrash, which spawned Shooglenifty, pioneers of a blend of traditional folk with contemporary dance music, variously described as techno ceilidh or acid croft. Their first album, "Venus in Tweeds" (1994), was named BBC Radio Scotland Album of the Year, and Shooglenifty would go on to release six more albums. The dreadlocked fiddler, aged 49, died of cancer on 9 October 2016 after a short illness. Fred Hellerman (1927-2016). The last surviving member of The Weavers died on September 1, 2016, at his home in Weston, Connecticut, at the age of 89. Formed in 1948, the Weavers, featuring Fred Hellerman together with Pete Seeger, Lee Hays and Ronnie Gilbert, sold millions of records and influenced acts including the Kingston Trio and Bob Dylan. The Weavers’ blend of political lyrics and sweet harmonies reached mass audiences in songs such as “Goodnight, Irene,” “Kisses Sweeter Than Wine” and “The Hammer Song” (which became a Top 10 hit when Peter, Paul & Mary recorded it as “If I Had a Hammer” in 1962). Their name was suggested by Hellerman, taken from a Gerhart Hauptmann play about a 19th century workers uprising. After the Weavers disbanded in 1964, Hellerman kept up a performing and producing career. He played guitar on the debut albums by Joan Baez and Judy Collins, and produced Arlo Guthrie’s first album, “Alice’s Restaurant”. In 2005 he recorded his first solo album, “Caught in the Act,” a collection of vaudeville songs. His final appearance onstage was in 2014, when he sang “Long Way to the Graveyard,” a song he co-wrote with Erik Darling, at a memorial concert for Pete Seeger. Joe Derrane (1930-2016). Known for re-popularizing the D/C# system diatonic button accordion, Boston-born Joe Derrane was the son of Irish immigrant parents. By the age of 17, Derrane had become a leading musician at house parties and in the Irish American dancehalls. In 1947-48 he recorded eight 78rpm singles of traditional Irish dance tunes, widely admired for his animated and accurate playing. By the late 1950s the Irish dancehalls were in decline. Derrane switched to piano accordion and later electronic keyboards to play popular music at weddings etc. Derrane retired from professional music in 1990. He privately began playing the button accordion again. Shortly thereafter, he was invited to perform at the 1994 festival at Wolf Trap in Vienna, Virginia. His virtuosic performance, accompanied by pianist Felix Dolan, was greeted with overwhelming acclaim. Joe Derrane died on July 22, 2016 at the age of 86. Leo Brennan (1916-2016). The father of the famous Clannad clan of musicians, Leo Brennan (Leo Ó Braonáin), has died aged 90 at his home in Gaoth Dobhair, Donegal. He spent much of his life on the road with the Slieve Foy Dance Band as a singer and saxophone player. In 1968, he set up a pub in Meenaleck, Crolly, which he simply called Leo’s Tavern (Tábhairne Leo). The venue became famous for its nightly entertainment. Leo’s Tavern has been where all members of the young Brennan family began following in their father's musical footsteps. 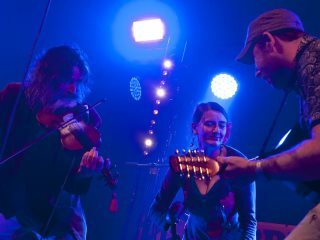 Four of the siblings formed the group Clannad with their uncles Noel and Pádraig Duggan and went on to achieve worldwide fame with their distinctive brand of Celtic music. Enya later left the group and went on to pursue a successful solo career. Tábhairne Leo was renovated 2003 under proprietor Bartley Brennan. The pub now also has a restaurant and features Gold, Platinum and Diamond discs by Clannad, Moya and Enya as well as photographs and memorabilia. Pádraig Duggan (1949-2016). Pádraig Ó Dúgáin died in a Dublin hospital on 9 August 2016, aged 67, following a recurring illness. The twin brothers Noel and Pádraig came to prominence in the 1970s with the folk group Clannad. 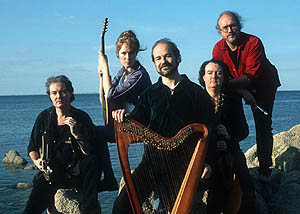 They later toured extensively with German-Irish band Norland Wind, featuring harpist Thomas Loefke. 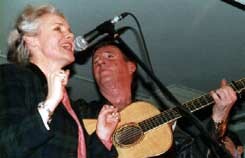 In 2005, the Duggans recorded their debut album, "Rubicon", featuring the song with which Clannad had won the Letterkenny Folk Festival more than 30 years earlier, "Liza": "I actually wrote it up on the roof of Leo's Tavern. "I was up there for some reason with my guitar. It is an upbeat pop song, I suppose I was influenced by bands such as The Beatles. It was a unique song at the time: a pop song in Gaelic! It proved popular in the local schools and the young people seemed to adopt it." Henry McCullough (1943-2016). Northern Irish guitarist Henry Campbell Liken McCullough joined folk group Sweeney's Men in 1968, under whose influence they began to mix folk and rock music. With Joe Cocker’s Grease Band he toured the US and performed at the Woodstock Festival. He also appeared as lead guitarist on Andrew Lloyd Webber's rock opera "Jesus Christ Superstar", and was recruited to join Paul McCartney’s band Wings. McCullough died after a long illness on June 14th, having never fully recovered from a severe heart attack suffered four years ago. Robin McKidd (1947-2016). Dundee's Robin McKidd had passed away on May 26th after suffering from emphysema. One of many Scottish musicians who moved to London, he played the guitar, banjo and fiddle, and sang with bluegrass, cajun, country and folk bands such as High Speed Grass, the Balham Alligators, Alive ’n’ Pickin’ and the Companions of the Rosy Hours. He also toured with Billy Connolly, Lindisfarne and the Strawbs, and recorded with Chris and Mick Jagger. The revered Arhoolie Records has been acquired from founder Chris Strachwitz and his business partner Tom Diamant by Smithsonian Folkways Recordings. Arhoolie Records is known for “down home” blues, folk, jazz, country, gospel, Cajun, zydeco, Mexican American, and world music. 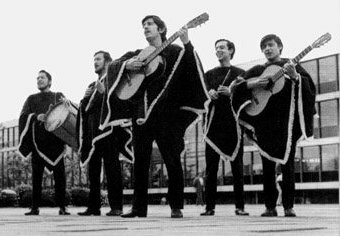 The acquisition includes more than 350 albums released since 1960 in various formats by Arhoolie and recordings from three South Texas regional labels specializing in Mexican music (Ideal, Falcon, and Rio), Andean Huayno music from the Peruvian label Discos Smith, and archival materials including master tapes. The collection features seminal recordings by artists such as Bukka White, Big Mama Thornton, Lightnin’ Hopkins, Mance Lipscomb, Mississippi Fred McDowell, Big Joe Williams, Flaco Jiménez, and Clifton Chenier. More recent releases include those by the Savoy Family Band, the Magnolia Sisters, and the Pine Leaf Boys. Hear Me Howling, a collection of recordings made in the Bay-area in the 1960s, won a GRAMMY award in 2011. In the same year, the label issued a GRAMMY-nominated retrospective box set celebrating Arhoolie’s 50th anniversary. Once the transition is completed, all Arhoolie albums will be available on CD and digital formats, along with selected LPs, at folkways.si.edu. Until then, a prime source for currently available releases is the Down Home Music record store (downhomemusic.com), located in the same building as Arhoolie Records and the Arhoolie Foundation (arhoolie.org) in El Cerrito, California (both the record store and the foundation will continue to operate separately from Smithsonian Folkways). Albums are also available at outlets such as Amazon and Spotify. Angélique Kidjo has been sitting atop the upper-echelon of artists who have influenced and inspired a generation of people for some time now. But most recently has followed suite with the likes of: Nelson Mandela, U2, Ai Weiwei, Daw Aung San Suu Kyi, Peter Gabriel, Harry Belafonte, Malala Yousafzai, plus many more, garnering the prestigious Amnesty International Human Rights award for 2016. Angélique Kidjo’s voice has been pivotal in the role of campaigner and as spokesperson against female genital mutilation, delivering education to females living in Africa (The Batonga Foundation) and human rights (Africa for Women’s Rights). Born in Benin, Kidjo came from a family who were rooted deeply in the arts, whose parents encouraged her and her brothers to pursue their musicianship. Over the years Angélique’s musical career rapidly gained enough momentum to gain the attention of the then government; The People’s Republic of Benin (who politically aligned themselves to Marxist-Leninist philosophies and ideologies). The government eventually made attempts to pressure Kidjo to record anthems driven by political agendas. This hindered and restricted Kidjo’s freedom to express musically. Due to the complications surrounding the future of Kidjo’s music career if she were to stay in Benin she decided to flee to Paris, France in the early 1980s. This served as a catalyst to the human rights work Angélique Kidjo is now regarded and awarded for. Internationally-renowned Malian singer songwriter Salif Keita has been confirmed as the closing headliner for the new event, joining previously announced Transatlantic Sessions as part of a varied line-up of gigs and events at venues across the city. Cambridge Junction will be presenting four gigs as part of City Roots. In J2 will be Jim Moray, the English folk singer known for pushing the boundaries of traditional music, Paolo Angelli and Derek Gripper in a daring double bill of genre-defying solo guitar, and Amy Wadge and Luke Jackson, a pairing of two generations of captivating performers. Meanwhile in J1, Mad Dog McRea will entertain with a unique mix of folk rock, gypsy jazz and bluegrass.